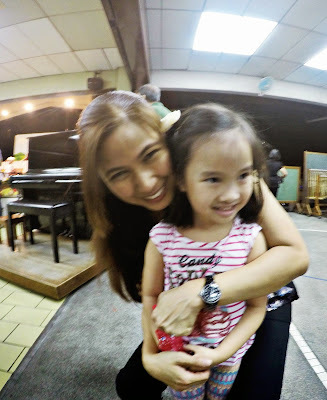 The most-asked question I get is where my daughter goes to school and why I chose it. I answer those questions privately on email but now that she has graduated let me now answer that safely on the Internet. Objectively, that is. I can relate to the thirst for information when hunting for a preschool - so I hope this helps put some out there for fellow corporate moms who narrow the choices through an Internet search rather than actual school visits. I found the school through my boss' two children who were incredibly bright and somehow already possessed a quiet self-confidence in themselves at such a young age. I was going through a new awareness of my little girl through our time spent playing together and I started to know her well enough to start wondering about the right school for her. These all led me to the Montessori method. I didn't know what that was or how distinct it was until I started researching (very me!). This video from Trevor Eissler convinced me to visit a classroom. I became a huge fan of their philosophy about a child's development. I still am! 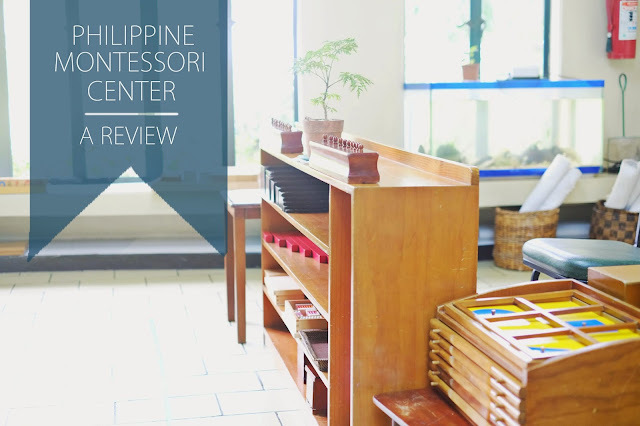 My research told me that there are lot of Montessori schools in Manila, but only a handful are led by those certified by the AMI (Association Montessori Internationale) and AMS (American Montessori Society). This one is. The famous Montessori materials are complete. The school is inside White Plains, so is really just a lot of converted houses. This makes it a small, very intimate community. All the people there soon know you. The classrooms are sunny and peaceful. There's a nice, green outdoor space with a playground that the children love. The materials are well-kept and are amazing to watch in action. There's so much science behind each one. Maria Montessori really studied how a child's brain develops and how they learn best. Each material is age-appropriate and every single one is genius - trust me, I read about all of that! Since all the materials are hands-on, they go through deep cleaning regularly during flu season. Learning water forms by pouring real water into landform trays. This one is a bay. They have a toddler program which starts at 1.5 years in their own toddler-friendly classroom which is so nice! 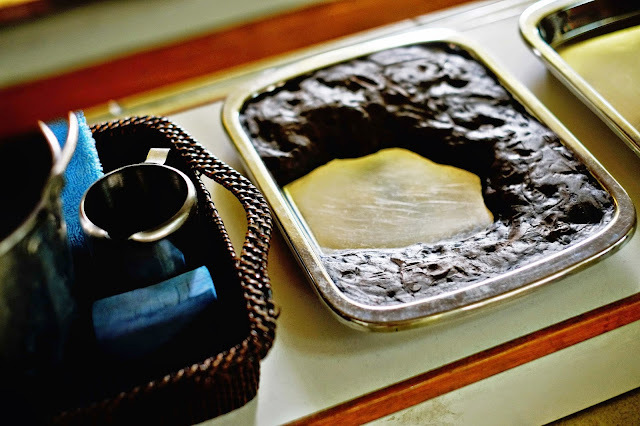 I wish I had discovered them sooner because I love reading about Montessori for babies. After the toddler program they move to a 'vertical classroom' : mixed age preschool which makes children learn to be leaders and team players. They'll get a chance to teach younger ones, and younger ones see first-hand what older students learn and exemplify. PMC has a fantastic music program, the best of its kind. Their music teachers are world-class! I once thought music didn't matter, until Ladybug Girl joined the percussion ensemble and I saw her concentrate, master and take pride in her skills. Ladybug Girl in her PMC instrumental ensemble. These kids and their teachers are amazing in action. As in every school, it really depends on the quality of teachers. I've been very lucky with hers. Teacher Ia is respectful of each child, young and fun, knows her stuff and is so understanding, she calls me even on weekends. Teacher Ia is a gem. We will miss her so much. I loved how the school was so low-maintenance in terms of parent-involvement. Okay that sounds bad but hear me out. In her first (traditional) school, there were so many rules, meetings, parent projects, expectations... as a working mama I found it so hard to keep up! I know for a fact that enrolment and first-day-of-school requirements in those big schools reach two legal sheets of paper. In PMC it is stress-free; it's the teachers who do most of the work and are always available for parents. The whole low-maintenance vibe has its downsides though. Some classrooms are ageing. The bathrooms need updating. This is where big school facilities can trump the little schools. The humming busyness of a Montessori classroom. But you can see the walls need a paint job and these little things say a lot to parents about quality. Maybe it's because I work in marketing. Communication is stuck in the dark-ages. Letters are scarce or late. And in this day and age, it is a telling sign that the school has an outdated website, poor Facebook page, and a Twitter account they do not use. This is partly the reason I decided to write this review, because if you judge them by their online presence you would be judging them unfairly. 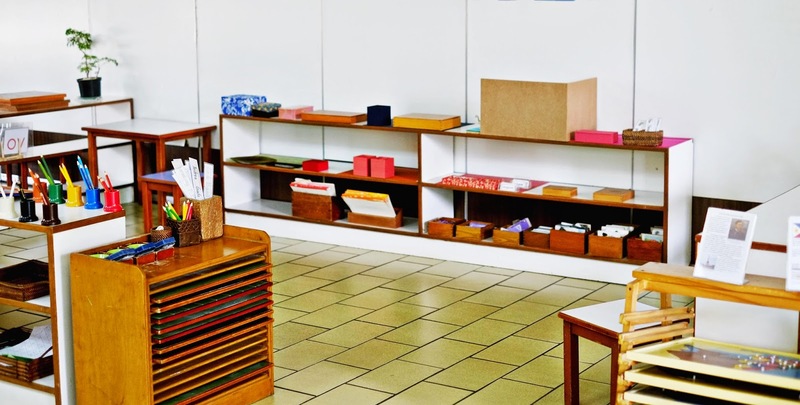 Their approach to Montessori is very traditional and by-the-book. It's a bit too Western for me. While Montessori designed her methods to adapt to local cultures, you won't find any Filipino taught even in nomenclature cards! It feels like they found what works and stuck to it without any updates throughout the years. For example, I wish they would convert their big gardens into farming activities that the children do in other Montessori schools. 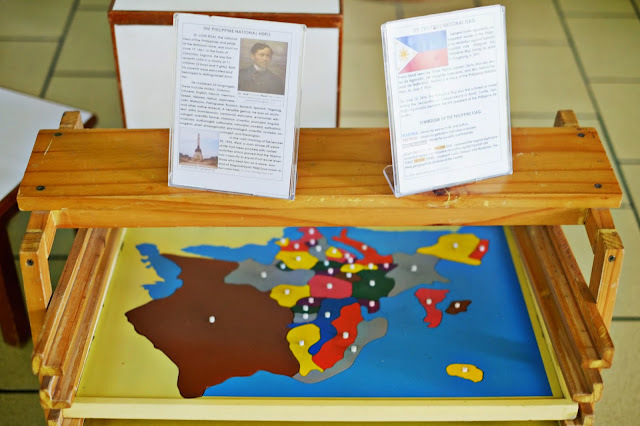 A token Filipino cultural tidbit on top of the traditional Montessori puzzle maps. Montessori schools in the US have a whole puzzle map to learn the 50 states. Wouldn't it be great if we had a Philippine wooden puzzle map to learn our geography too? No religion in the curriculum but they pray to Jesus and celebrate Christmas. This matters a lot to me so it's on my cons list. I needed to supplement Christian foundation strongly at home. Hopefully, a little modernisation and a lot of local culture will catch up to PMC soon. Prepare ahead for parent-teacher conferences if you like details. There's a report card of sorts and a lovely scrapbook that you get to see the progress of your child, but because there are no tests it's also something to get used to as a parent. It helps to be familiar with the materials around the room so that can be the basis of asking the teacher where your child is at with them. Otherwise it's a quick, vague conversation for us used to the traditional schools. No parking around the school since it's inside White Plains. So if you're a working mom with no driver, be warned! You have to be early to get the 5 slots hidden around the school. You guessed it - the cost. It's nearly 2x more expensive than traditional school. Obviously I thought it was worth it, but only a classroom visit will help you make the decision yourself. 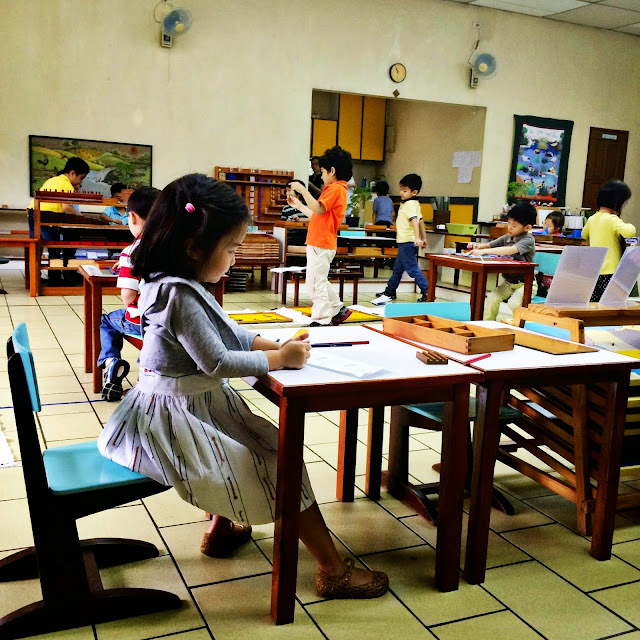 So objectively, I did choose PMC because I fell in love with the Montessori method. But also objectively, the pros definitely outweigh the cons. 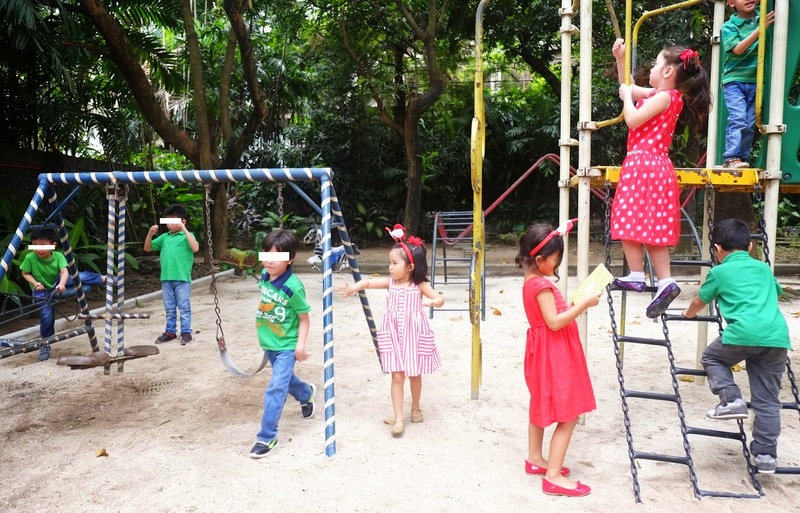 But completely subjectively, I think it's one of the best preschools where this amazing little world of children comes to life like magic everyday. I'm going to miss visiting this peaceful place. Good review! Every school will have their pros and cons and you have to pick what you’re okay with! Although I wont put my kid in a Montessori school, I’ll take peeling walls with great outdoor space, fantastic music program, good teachers any day! Very true!! If you have thoughts on Montessori do let me know - it will inform my next decision! I love your content. Nice photos too. Good review! I like your blog very much. Hope you keep to share more and more interesting post like this.